Draft: 2007, St. Louis Cardinals, 35th rd. Graduated from Arbor View (NV) High School...Enjoys golf, hunting, video games and getting tattoos...Follow him on Twitter (@MichaelBlazek3). Spent the majority of the season with Triple-A Colorado Springs, going 3-4 with 2 saves and a 3.71 ERA in 26 games...Appeared in 5 games (1 start) for the Brewers and was 0-1 with an 8.31 ERA...did not allow a run in his 4 relief appearances (6.1 IP)...Made first Major League start on July 27 @ Nationals. Went 3-1 with a 5.66 ERA in 41 relief appearances...Had four stints with the Brewers (Opening Day-6/1, 6/19-7/10, 7/27-8/16 and 9/3-end)...Retired 24 of 41 first batters faced (58.5%)Stranded 6 of 12 inherited runners (50.0%)...On the 15-day disabled list from 6/1-6/18, retroactive to 5/29, with a right elbow impingement and from 8/16-9/2, retroactive to 8/14, with a right forearm strain...Made just 1 appearance (9/24 vs. Cincinnati) after coming off the DL for the second time. Went 5-3 with a 2.43 ERA in 45 relief appearances…Was named to his first career Opening Day roster…Held opponents to a .200 batting average…Retired 34 of 45 first batters faced (75.6%)…Stranded 9 of 13 inherited runners (69.2%)…Earned his first Major League victory on 4/26 vs. St. Louis…Notched the win in Craig Counsell's managerial debut on 5/4 vs. Los Angeles…Was named Brewers Pitcher of the Month for both April (9g, 1-0, 0.82era, .158ba) and May (12g, 3-1, 1.56era, .159ba)…Was placed on the 15-day disabled list on 8/14 with a fractured right hand, retroactive to 8/13…Was transferred to the 60-day DL on 9/22. Went 0-1 with a 5.71 ERA in 18 relief appearances during his first Major League season between St. Louis (11g) and Milwaukee (7g)...Held opponents to a .235 batting average...Had four stints with the Cardinals (5/26-5/30, 6/22-7/10, 7/30-8/11 and 8/28-8/29)...Went 0-0 with a 6.97 ERA in 11 appearances with St. Louis...Made his Major League debut on 6/22 vs. Texas (1ip, 2k).....first strikeout was Leonys Martin...Combined to go 1-2 with a 1.97 ERA and 9 saves in 36 relief appearances between Double-A Springfield (17g) and Triple-A Memphis (19g)...Was traded to the Brewers on 9/1 to complete the 8/30 deal which sent RHP John Axford to St. Louis.....went 0-1 with a 3.86 ERA in 7 appearances with Milwaukee...His loss came on 9/20 vs. St. Louis (John Axford got the win). Spent 2012 in Springfield (AA) except for a start on 7/31 at Memphis (AAA) and 0.1 IP of relief on 8/3. His first 7 apps. at Springfield were starts before pitching out of the bullpen the remainder of the year. His 83 K's were 2nd among Springfield pitchers, while his eight losses led the team. Topped all Cardinals minor leaguers with 13 wins,ranked T1st with 26 starts, 3rd with 134 strikeouts, 4th with 145.2 IP and sixth with 8.28 SO/9 IP...named to the Texas League All-Star North team,and pitched 0.1 innings in the 8th,allowing a walk and registering a strikeout...his 8.28 SO/9 IP led the Texas League and he ranked 2nd in the TL with 128 K's. Spent most of the year at Quad Cities (A),making a spot start on 6/23 for Palm Beach (High-A)...led Midwest League relief pitchers with lowest BA(.168)and fewest base runners/9 IP ratio of 7.56. Started 12 of 15 contests...began the season going 2-1 with 1.84 ERA in 14.2 innings in June,as opponents hit just .184...suffered a stretch loosing nine of 10 games (nine starts)...the nine losses led the New York-Penn League. -Started nine of 13 games for short-season Johnson City (A)...went 0-3 with a 4.88 ERA in his starts; 1-1, 5.40 in relief. After being drafted and signing with the Cardinals,reported to GCL Cardinals where he appeared in 10 games for the short season squad, starting three ... pitched 10.0 scoreless innings in his last two starts ...struck out 10 in 5.0 innings of relief in his last app. on 8/19 vs. the GCL Nationals. November 2, 2018 RHP Michael Blazek elected free agency. August 8, 2018 RHP Michael Blazek assigned to Jackson Generals from Reno Aces. August 1, 2018 RHP Michael Blazek assigned to Jackson Generals. July 27, 2018 Reno Aces sent RHP Michael Blazek on a rehab assignment to AZL D-backs. April 7, 2018 Reno Aces placed RHP Michael Blazek on the 7-day disabled list. Right arm injury. January 29, 2018 RHP Michael Blazek assigned to Reno Aces. January 21, 2018 Arizona Diamondbacks signed free agent RHP Michael Blazek to a minor league contract and invited him to spring training. October 2, 2017 RHP Michael Blazek elected free agency. September 6, 2017 Colorado Springs Sky Sox activated RHP Michael Blazek from the temporarily inactive list. September 3, 2017 Colorado Springs Sky Sox placed RHP Michael Blazek on the temporarily inactive list. August 16, 2017 Milwaukee Brewers sent RHP Michael Blazek outright to Colorado Springs Sky Sox. August 13, 2017 Milwaukee Brewers designated RHP Michael Blazek for assignment. July 28, 2017 Milwaukee Brewers optioned RHP Michael Blazek to Colorado Springs Sky Sox. July 18, 2017 Milwaukee Brewers recalled Michael Blazek from Colorado Springs Sky Sox. July 14, 2017 Milwaukee Brewers optioned RHP Michael Blazek to Colorado Springs Sky Sox. July 3, 2017 Milwaukee Brewers selected the contract of Michael Blazek from Colorado Springs Sky Sox. April 10, 2017 Milwaukee Brewers sent RHP Michael Blazek outright to Colorado Springs Sky Sox. April 5, 2017 Milwaukee Brewers designated Michael Blazek for assignment. March 22, 2017 Milwaukee Brewers optioned RHP Michael Blazek to Colorado Springs Sky Sox. September 3, 2016 Michael Blazek roster status changed by Milwaukee Brewers. July 27, 2016 Milwaukee Brewers recalled RHP Michael Blazek from Colorado Springs Sky Sox. July 11, 2016 Milwaukee Brewers optioned RHP Michael Blazek to Colorado Springs Sky Sox. June 19, 2016 Michael Blazek roster status changed by Milwaukee Brewers. June 14, 2016 Milwaukee Brewers sent RHP Michael Blazek on a rehab assignment to Colorado Springs Sky Sox. November 2, 2015 Milwaukee Brewers activated RHP Michael Blazek from the 60-day disabled list. 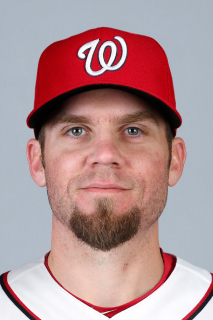 June 27, 2014 Michael Blazek roster status changed by Nashville Sounds. June 18, 2014 Nashville Sounds placed RHP Michael Blazek on the 7-day disabled list. March 16, 2014 Milwaukee Brewers optioned RHP Michael Blazek to Nashville Sounds. September 2, 2013 Michael Blazek roster status changed by Milwaukee Brewers. September 1, 2013 St. Louis Cardinals traded RHP Michael Blazek to Milwaukee Brewers. August 29, 2013 St. Louis Cardinals optioned RHP Michael Blazek to Memphis Redbirds. August 28, 2013 St. Louis Cardinals recalled Michael Blazek from Memphis Redbirds. August 12, 2013 St. Louis Cardinals optioned Michael Blazek to Memphis Redbirds. July 30, 2013 St. Louis Cardinals recalled Michael Blazek from Memphis Redbirds. July 11, 2013 St. Louis Cardinals optioned Michael Blazek to Memphis Redbirds. June 22, 2013 St. Louis Cardinals recalled Michael Blazek from Memphis Redbirds. May 30, 2013 St. Louis Cardinals optioned Michael Blazek to Memphis Redbirds. May 26, 2013 St. Louis Cardinals recalled Michael Blazek from Springfield Cardinals. April 1, 2013 Michael Blazek assigned to Springfield Cardinals from Memphis Redbirds. March 16, 2013 St. Louis Cardinals optioned Michael Blazek to Memphis Redbirds. November 20, 2012 St. Louis Cardinals selected the contract of Michael Blazek from Memphis Redbirds. September 28, 2012 Michael Blazek assigned to Memphis Redbirds from Springfield Cardinals. August 4, 2012 Michael Blazek assigned to Springfield Cardinals from Memphis Redbirds. July 30, 2012 Michael Blazek assigned to Memphis Redbirds from Springfield Cardinals. March 31, 2012 Michael Blazek assigned to Springfield Cardinals from Memphis Redbirds. September 1, 2011 Michael Blazek assigned to Memphis Redbirds from Springfield Cardinals. July 11, 2011 Michael Blazek assigned to Springfield Cardinals from Memphis Redbirds. July 7, 2011 Michael Blazek assigned to Memphis Redbirds from Springfield Cardinals. April 4, 2011 Michael Blazek assigned to Springfield Cardinals from Quad Cities River Bandits. March 20, 2011 RHP Michael Blazek assigned to St. Louis Cardinals. June 28, 2010 Michael Blazek assigned to Quad Cities River Bandits from Palm Beach Cardinals. June 21, 2010 Michael Blazek assigned to Palm Beach Cardinals from Quad Cities River Bandits. April 5, 2010 Michael Blazek assigned to Quad Cities River Bandits from Batavia Muckdogs. June 19, 2009 Michael Blazek assigned to Batavia Muckdogs from Johnson City Cardinals. June 15, 2007 St. Louis Cardinals signed RHP Michael Blazek.